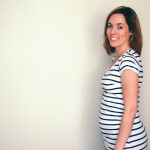 When I was pregnant my daughter, I did weekly surveys about my pregnancy. I didn’t start with her until 8 weeks, but given my history, I’ve started earlier with my last couple of pregnancies so I’d have a record of them. If it’s all the time you have with your little one, you make the most of it. And if this one sticks, well, I’ll just have a few extra weeks of surveys to go on. How Did You Find Out: I was pretty sure I would get pregnant this cycle. When I found myself at 12 DPO crawling into bed at 9 PM, I was pretty sure I was pregnant. I waited until the next afternoon to test, and it was a strong positive. Showed it to Kellen immediately. 3 betas later, here I am. Appointments/Milestones: I’ve passed 2 out of 3 loss milestones. I made it past 4 weeks, and then I made it to 5 weeks still having symptoms. 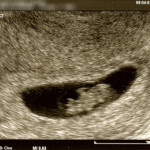 My next milestone/appointment will be the 6-week ultrasound on Monday 8/31. I also met with an OB this week so that if my ultrasound goes well, I have a place to move onto. Total Weight Gain: My base weight was 112. I may have put on a pound or two in the last week, since I’ve stopped all exercise out of fear, but I’m not going to be doing regular weigh-ins this pregnancy. I’ll give an update after my next doctor’s appointment. Sleep: A little restless, probably due to anxiety. I’m getting up a couple of times a night to pee, and sometimes wake up literally drowning in my own drool. What I miss: Dr. Pepper. I’m off all caffeine until I get through my first trimester. Symptoms: Fatigue is the biggie. My breasts have responded to the pregnancy as well. They’re the visible symptom keeping me from going into an anxiety spiral. Every time my symptoms lessen even a little, I worry this pregnancy is ending. 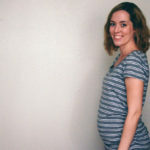 Maternity Clothes: Not even going there. PgAL Thoughts: I’m adding this section, because I feel like it’s something I need to address each week, at least for now. I’m participating in a birth month forum, and it has continually surprised me how so many other people, so early in their pregnancies are already talking about maternity clothes and registries and announcements. Some have already made announcements saying “COMING IN APRIL!” I’m pregnant, but I don’t know if this baby is coming in April. 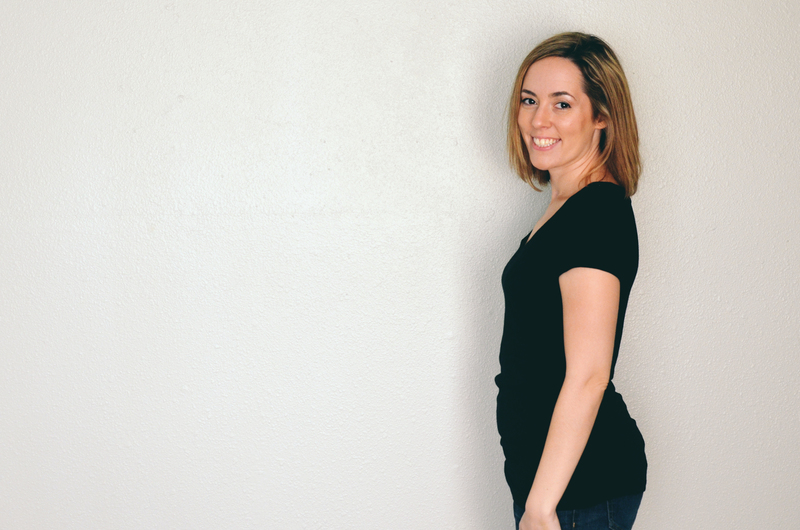 I don’t know if I’ll ever wear maternity clothes again or if I’ll ever get to make the big announcement. Another quiet loss seems more likely, almost inevitable. I keep trying to visualize this baby–my appleseed–with its little nubs where arms and legs eventually will be, growing and thriving in my body. I try to hold in my mind the image of a tiny gray blob with a beating heart on a screen. I want so badly for it to be real. I tried to reach out with my mind this morning: what do you need? It said back to me: water and space. I don’t know if I can nourish this one, if I can grow to accommodate it. If it were a matter of sheer will-power, I would make it happen. But I have so little control. I feel so alien to everyone else, whose bodies effortlessly grow babies, who can feel joy and excitement, where I only feel anxiety and dread. Every time I even think about looking ahead, I feel like a fraud. That won’t be you, my PgAL brain tells me. I am trying so hard to prove it wrong. Best Moment This Week: I met with a new OB yesterday and really liked her, so I’ll be switching to their practice when/if I graduate from my RE.